Jacobin cuckoo (Clamator jacobinus). 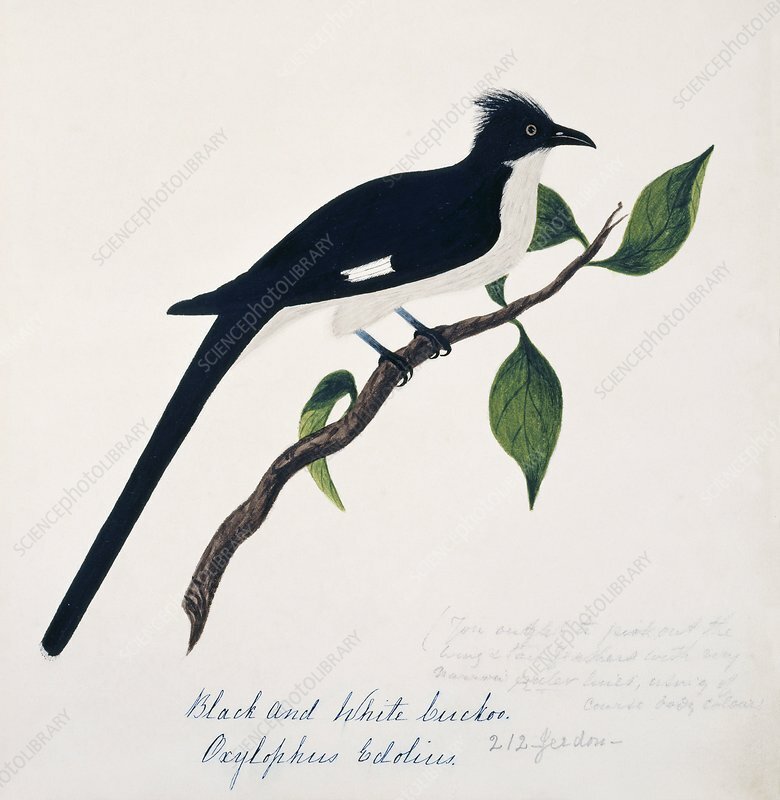 This watercolour is plate 2 from 'Neilgherry Birds and Miscellaneous' (1858) by the Indian-born British artist and amateur ornithologist Margaret Bushby Lascelles Cockburn (1829-1928). This book consists mostly of her illustrations of the flora and fauna of the Nilgiri Hills (then known as the Neilgherry Hills) in the state of Tamil Nadu, in southern India.